In our age of high-speed communication, it is easy to underestimate how vast the distance between Britain and Japan really is. At a time when it took over four months for letters to cross from Japan to Britain and back, the first British diplomats posted there were almost completely isolated by their remoteness. The British Ministers to Japan were thus forced to rely on their own judgement in carrying out their allotted task of nurturing British commerce, with occasionally disastrous consequences. This isolation was ended at a stroke in 1870, when Japan was connected to the globe-spanning telegraph network, and the British could send messages via the wire between London and Tokyo in a matter of hours rather than months. This article explores the degree to which the everyday business of a British envoy in Japan was actually changed by the introduction of the telegraph, and asks whether the availability of a technology is enough, in itself, to change society. To answer this question, I look at the careers of the three most distinguished nineteenth-century British diplomats in Japan: Sir Rutherford Alcock (1859–1864), Sir Harry Parkes (1865– 1883) and Sir Ernest Mason Satow (1895–1900). According to historian William McCullough, a society cannot be understood without an appreciation of its marriage institutions, for marriage institutions are a dominant strand in the fabric of any society. In the Heian period, however, there was an even more dominant strand in the fabric of society than marriage that impinged on the relationships between aristocratic men and women. As historian Ivan Morris points out, the most prevalent relationships between men and women were extramarital affairs. If an appreciation of marriage institutions is necessary for us to understand Heian society, then an appreciation of affairs is likewise necessary. Few historians have addressed the subject of affairs, though they are central to the most notable texts from the period. This article addresses this gap in scholarship by exploring why affairs were so prevalent during the Heian period. This exploration involves looking at the marriage institution, perceptions of sexuality, belief systems and, importantly, aestheticism. Heian society was intensely aesthetic – a great emphasis was placed on pathos, beauty and aesthetic acts such as composing poetry. This paper argues that affairs were themselves aesthetic acts; that is, they were occasions of aesthetic expression. Because aristocrats had a preoccupation with aestheticism, they embraced affairs. It has been widely claimed that computer mediated communication offers unique opportunities for language learners, including the ability to take on the roles of ‘writer’ and ‘reader’, ‘teacher’ and ‘learner’. Hence, it is important for teachers and learners to be aware of not only the linguistic and interactional characteristics of especially bilingual chat, but also how participants in an intercultural setting may switch between roles. Learning about one’s second language from a peer, and in turn, teaching that peer about one’s native language may allow both participants opportunities to develop as language experts. This article utilises naturalistic bilingual chat data and follow-up interviews to examine the implications of these findings for learners, teachers and researchers. The diasporic experiences of Japanese partners married to Australians and living in Australia are largely unexamined. This article is based on a study, conducted for an honours thesis, which invited four Japanese wives living in South East Queensland to describe, together with their Australian husbands, their family’s interactions with Japan, its language and culture, and the local Japanese community. It was recognised that the extensive social networks these wives had established and maintained with local Japanese women from other Japanese-Australian intermarriage families were an important part of their migrant experience. This article will firstly review the literature on contemporary Japanese- Australian intermarriage in Australia and Japanese lifestyle migration to Australia. It will then describe and examine the involvement and motivations of the four wives in their social networks. Entry into motherhood was found to be the impetus for developing and participating in informal, autonomous networks. Additionally, regular visits to Japan were focused on engagement with existing family and friendship networks. The contemporary experience of intermarriage for these women is decidedly transnational and fundamentally different from that of the war brides, or sensō hanayome. Japan has often been portrayed by orientalist stereotypes, as famously framed by Edward Said, that were mainly constituted within Europe and North America. There are two distinct streams of orientalist discourse around Japan: traditional Orientalism and techno-Orientalism. Here the West speaks of the Other/the non-West rather than allowing it to speak for itself. In regards to the discourse of ‘Otherness’, another interesting phenomenon is Japan’s self-Orientalising: through the internalisation of the Western Orientalist discourse, Japan identifies itself and constructs its own subjectivity. In his literary works, the author David Mitchell attempts to subvert the conventional orientalist approach to describe Japan while concurrently maintaining his position as a British observer. He makes use of Western perspectives to cater to his Western readers’ preference for Japan’s traditional and cultural elements, and yet at the same time attempts to subvert stereotypes. Mitchell’s approach is reminiscent of Japanese author Murakami Haruki’s use of both ‘Japaneseness’ and ‘un-Japaneseness’ in his works. Mitchell also learnt the importance of the use of the subjective narrative voice from Murakami. In this article, I examine how David Mitchell, as a western author, attempts to go beyond orientalist stereotypes, and how his writing is influenced by Murakami Haruki. 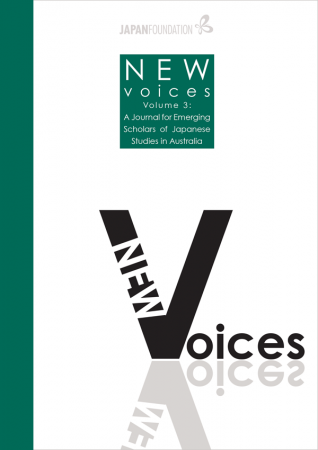 This study examines, through a qualitative case study approach, how non-native- speaking (NNS) Japanese language teachers in New South Wales (NSW) teach culture and why. The study seeks to understand the pedagogy used to teach culture, teachers’ attitudes and beliefs on teaching culture and how these attitudes and beliefs have been influenced by past experiences. This study also explores how the NSW K-10 Japanese syllabus and concepts of Intercultural Language Learning (IcLL) are being implemented in teachers’ classrooms. Two non-native-speaking (NNS) Japanese language teachers from a selective secondary school in NSW were interviewed and their classes observed over three days. Analysis of interview and observation data shows that these teachers teach culture as determined by language content, integrate language and culture teaching and teach culture as observable and factual. The study shows that both teachers view culture teaching as easier than language teaching, however their views on the influence of the syllabus differ. The study explores the teachers’ past experiences and how these affect how they feel towards, and teach culture. Finally, this study looks at how the teachers’ practices reflect concepts of IcLL such as integrating language and culture, student-centred learning and how their status as NNS teachers affects their culture teaching.